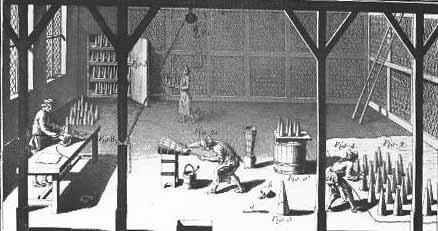 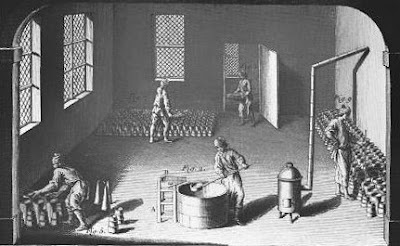 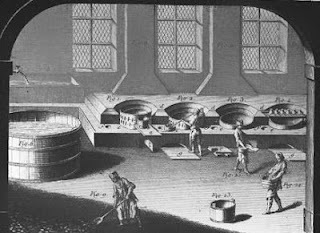 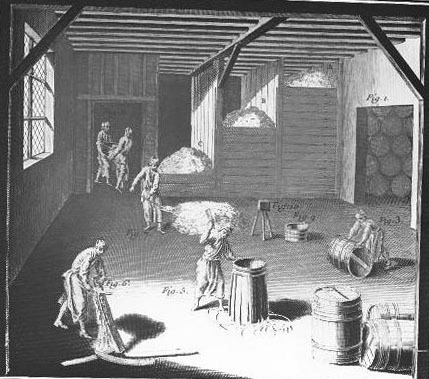 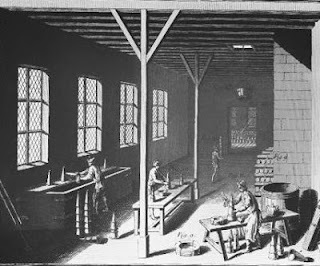 These pictures from the book show the various equipment needed to refine sugar in the mid 18th century. The sugar mill on the sugar plantations, barrels, cauldrons or boilers and forms or pots. 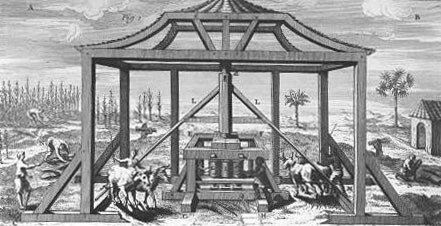 For the entire book online click: HERE The picture above is a sugar mill using oxen to move the three grinders to take the sugar out of the sugar cane. Steam rising from the boiling sugar syrup in the cauldrons. 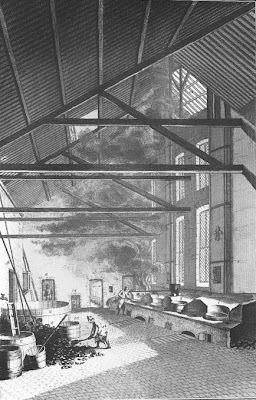 Notice the open vent in the roof.